Because independence is strongly valued in American society, it is not as common as it once was for children to continue to live with their parents into adulthood. However, over time, there has been an increase in aging parents moving in with their children. As the baby boomer generation grows older, the number of multi-generational households in the United States has risen and currently includes one in six Americans. It is only natural to have some anxiety over your aging parent moving in with you. You may have concerns over how you will get along, your ability to properly care for your parent, or increased financial pressure, just to name a few. The situation can be particularly stressful if you and your parent have had a strained relationship in the past. The following suggestions are meant to help you mentally and emotionally prepare for the transition of your parent moving in, as well as strengthen the bond between you. First, you should identify any potential areas of conflict between you and your parent in advance. This will require some tough self-examination where you will need to honestly think about things you have done to negatively contribute to the relationship. Write down your feelings about past conflict and ways you think these issues can be repaired. If you are having difficulty doing this on your own, you may wish to visit a licensed counselor to help. Then, be prepared to speak frankly with your parent about any issues between you, with the goal of resolving them for good. A second objective would be to learn all you can about your parent’s aging process and any medical ailments they may have. 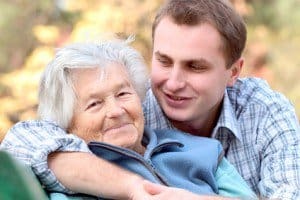 You should understand that your parent may be grieving the loss of many things, such as their health, independence, financial security, or important people in their life. Such drastic change can dramatically impact one’s health, so it is important you be able to recognize any indicators that your parent may need to see a counselor or physician. Finally, understand that this transition will require you learning to balance your own needs with those of your parent. In the larger picture though, living in a multi-generational household can create a more enriched atmosphere for all. While you are not at home or out of town, a medical alert device can help give you peace of mind if your parent should need emergency help. We recommend reading reviews like this LifeStation review to find the best fit for you and your aging parent.